Some of you probably read the story of Kelvin Doe. 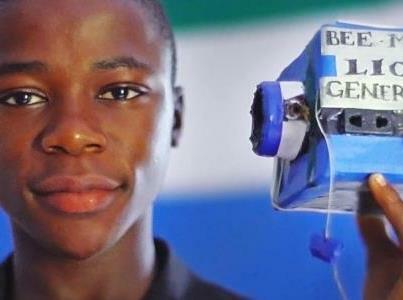 Kelvin is a 15 years old genius teenager from Sierra Leone, one of the poorest countries around the world. He was invited to join one of the most prestigious university institutions, the Massachusetts Institute of Technology (MIT), after participating to a local contest. He was invited thanks to David Sengeh, another people from Sierra Leone and former student from MIT. In a tribune published by CNN and the newspaper “Le Monde”, Sengeh mentions the past of Kelvin Doe, and his capacity to develop technologies starting from scratch. Indeed, Kelvin built a battery with soda, metal and acid, in a village where no electricity was available. Interesting, but not enough for Kelvin who built also a generator with a tension stabilizer he found in a trash, that he will use to to feed a radio station he built with a CD player and an antenna. Impressed by his capacities, David Sengeh encourages Kelvin to participate to the “Visiting Practitioner’s Program” of the MIT, and starting for a new life. Following “Le Figaro”, the young guy is working on a project of wind turbine to produce energy for a village. Such story put in evidence a few things we can learn from. The fact that you are living in a poor country is not necessarily a fatality. Despite the fact he is living in a poor country, Kelvin probably decided to follow his own way, his destiny. He took the decision to move to another situation, to build another life, or more simply, to build his life. Our life is a succession of decisions and actions. Kelvin fixed goals in his life and take appropriate actions to reach them. Philippe Gabilliet, a MBA professor, mentioned in a video about opportunities that the best way to meet opportunities is to be an opportunity yourself. Your capacities, your competences make that you will be able to build projects or to contribute to collective projects. By expanding your knowledge, by sharing it with other people, you create opportunity spaces that will lead you to achieve goals, to find new challenges and opportunities. You will be an actor, an actor of the society, but first, the actor of you own life. By facing new challenges, by learning new things and acquiring new competences, you increase your possibilities. Each of us, we can meet failure during our life. This is why, not only entrepreneur, but each of us, we need always to have an alternative plan. The more we have knowledge, capacities, the more we can build alternative plan. The key word is autonomy. Our autonomy makes that we are self-confident, which contributes to our wellness. We can face our mirror because concretely, as an actor, you know what you are able to do. As I mentioned before, our life is a range of decisions and actions, and we need to find energy to start such process. We need to find this energy in ourselves, but we can wonder if our environment contributes to bring such energy. In Kelvin story, what David Sengeh noticed, is Kelvin capacity to create technology with bit and peaces. Is the poor environment where Kelvin is living contributes to make him a genius? If we pay attention, our consumer society offers products and services, making that we don’t have to take care about anything. Such society is presented to us as a society bringing facilities and comfort. But the counterpart of such comfort is that we became unable to do things by ourselves, because this consumer society took us these opportunities out. Today, you are buying goods you can’t repair by yourself if there is any problem, or you just have to replace the parts by another. In the worth case, you need to buy a new one, eve if such good should work still many years. By the time, you had still the possibility to try to repair something by yourself, and if you succeed to do it, it was a small satisfaction. What I mean here, is that our consumer society make us dependent, put out the opportunities to solve problems by ourselves, put out our autonomy. We don’t care about things because somebody else will bring us the solution, the paying solution of course. Does it mean that we have to refuse the progress? Certainly not, but with new inventions, new technologies, we should be able to create a better world, to move to excellence. Technologies are good indicators revealing our intelligence …and our mediocrity. By looking to this story, we think about the present situation, with the economical crisis, where people are loosing jobs and where politics try desperately to find the miraculous solution. If you look to Kelvin story, it is obvious that in many cases, the solution will come from yourself. The capacity to find solutions by yourself will make that you will gain your autonomy, you will conquer your freedom, but you will be also a responsible person, making your own choices, listening to your inner voice. Steve jobs said that success is not a question of money, but most of the time the ambition and the whish to succeed. The solution comes from yourself, if you decide to find it. In our economical environment, the social entrepreneurship trend seems to increase. The social entrepreneurship appeared in Europe and in the United States during the 90’s. This economical model, by opposition to the traditional economy, is not based on the maximization of profit, but is focused on social en environmental aspects, and these enterprises allocate their profit to meet these two requirements. I often hear some remarks about social businesses who receive some subsidies from the authorities. People are wondering if the authorities are doing a good usage of their money when they are giving subsidies to social enterprises, subsidies that are necessary in some cases, in order to be on a break even position. This question is totally justified. The public money need to be allowed to projects that presents a real added value for the society, projects providing a return on social, environmental or public investment. But by asking such question, it is interesting to analyze two aspects of businesses or activities: profit and liabilities. The goal of companies, and specifically the one’s quoted on stock exchange markets,is to maximize and to make comfortable profits. We agree that profit is necessary to ensure the financing of growth and development of activities on a long term basis, but this maximization of profits is not always based on a long term view. By cutting costs in order to increase their short term profits, we nearly hear each day companies cutting in jobs. But by suppressing jobs, you are losing know-how. The question is to know, what the return value of the know-how is, on a long-term basis. By cutting in your know-how, you are cutting also in a potential source of long-term revenues. By re-injecting your profit in manpower development, you will probably do a better investment. And the cost for the collectivity would be less expensive. Indeed, people loosing their job depend of the collectivity. Here is a first example of the privatization of profit and the socialization of the liabilities. 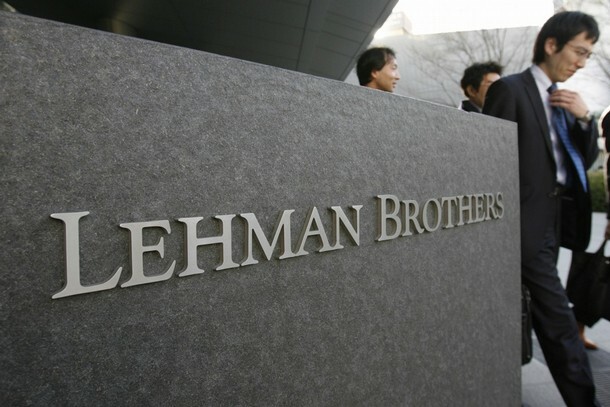 Let us talk also about the financial crisis, linked to the sub-primes, where banks made profits at a certain time, and when the wind began to change, with a flow of bad news, with the bankruptcy of some banks like Lehman Brothers, the bills were presented to the governments, who had to inject money in safety plans, to protect the money of the citizen. In fact, it is the citizen who had to pay the bill to protect his savings. And what about the environmental liabilities? Many industries are consuming raw materials, extracted from the hearth. The impact on the environment is important, when the companies try to minimize the preventive action to avoid a negative environmental impact, in order to minimize costs related to that prevention. Here again we are in front of a new example of privatization of profit, and socialization of liabilities. In a social enterprise model, the environmental impact will be minimized by using alternatives that will be probably more expensive, but financed with a part of the generated profits. In this case, the financial profit will be lower, but the environmental liability will be lower too. And let us take about the potential social positive impact. By using for instance recycling businesses and technologies to minimize the environmental impacts, we can create jobs for low or non qualified people, and so decrease also the social liability impact. By mentioning these few examples below, I wanted to underline that it doesn’t make sense if you consider only profit and not liabilities, only private profit and not public liabilities. And often, the short profits are lower than the long term social, environmental or financial liabilities. These are the consequences of lack of long term view, of ethical vision. Some companies probably created financial value on a short term basis, but destroyed value on a long term basis, and the invested amounts and energies to reach finally such results appear to be a huge waste. Long term vision, quality and ethic are the component of sustainable businesses, and it is not so stupid to say that each business should be social, if you consider that the economy is there to serve the human being, and not the opposite. Economy can not exist without human being. There are running the economy and each of them should benefit of it.